This photo exploded online last summer after these University of Mississippi freshman showed us just how dreamy dorms can really be. 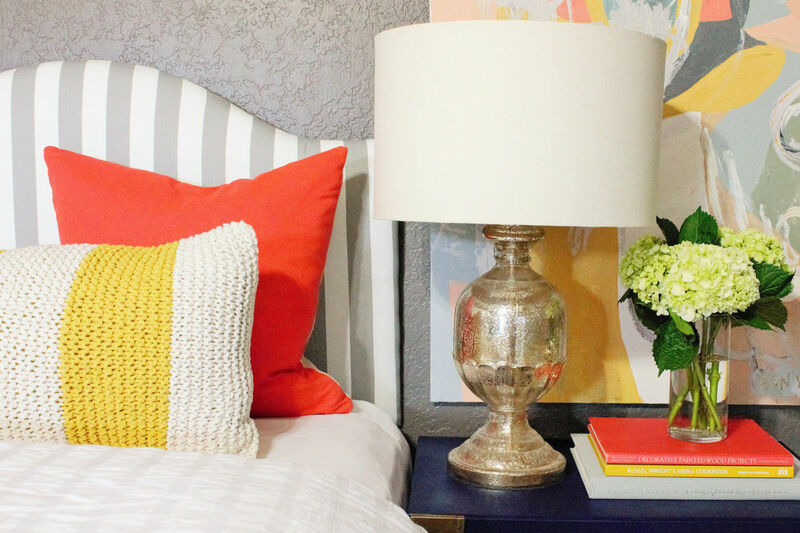 Sarah, of The Bella Insider, decked out her third year dorm room with cheery accessories and a breezy color palette that keeps the small space breathable. A mature palette seamlessly blends with standard-issue taupe dorm walls. A tall bed makes for extra storage down below and a good excuse for such a cute stool. Layers, layers, layers. A pleasing color scheme paired with a variety of patterns and layers of textures takes this room from 101 to graduate-level design. Painterly art helps the room’s design feel more elevated and thoughtful than typical dorm posters. Symmetry is key in this harmonious design. Such a sweet scheme is perfect for a feminine first-year dorm—aka, the ultimate girls’ room. Carve out some much-needed personal space (this room was in a sorority house with 60 other girls…) with an IRL pin board. Equally parts whimsy and class, this dorm passes for boutique hotel accommodations. Pink, navy, and red come together for a perfectly preppy bed situation. Where better to go preppy than in school? What can we say, they just know how to decorate a dorm in Oxford. This room gets its sophistication from turning the twins into daybeds and swapping out unsightly dorm furnishings for a well-loved chest.